At Ultimate Detox Solutions Clinic we are experts at detoxification. We find out the cause of your problem and get you well. Treatment programs offer various testing such as saliva, urine stool and blood testing. From this toxins and problems in the body are identified and treated as well as all your organs. Colonic Hydrotherapy / Irrigation (closed method) may be part of your detox centres in Melbourne program. We also teach Indian Head Massage and have offered accredited courses for over 13 years. 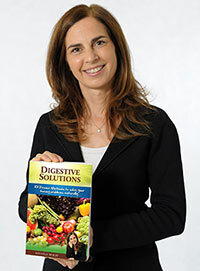 We offer a FREE DVD on How to Manage Digestive and Bowel Function (valued at $57). Click here to claim your videos for free! We are all subject to toxins in the modern world. A few examples of toxic sources are:- environmental toxins, off gasing from building materials and new cars, dioxins and xenoestrogens from plastics, cleaning products, cosmetics, additives colours and preservatives in foods, pesticides and herbicides from farming. Most people I test have elevated levels of toxic metals and other harmful substances. How Toxic Are You? You might be surprised! Unlike other colonic treatments, we do a closed method of colonic hydrotherapy / irrigation and detox programs. You have the comfort and clinical support of having someone with you at all stages of the procedure. There is no odour, you are covered up and can go back to your normal life after the colonic. The benefit of abdominal massage during the treatment causes more waste matter to be removed and the bowel is toned during the treatment. Techniques can also be done to relax the bowel. Your practitioner will observe waste matter through a glass viewing tube- from this dietary advice can be given and problems which can cause debilitating health can be seen. For example sometimes Candida, parasites and undigested food can be seen. If needed the correct herbs, remedies and diet can be given or testing can be done if required. You are not sitting on a spike and there is no fear of being left alone like open method colonics. Most importantly your care is very holistic and your health is our priority. Michele is a Naturopath and Nurse. Colon Naturopathy in Melbourne is a method of healing that empowers an individual to achieve a high level of health. The cause is treated as well as the whole person. Prevention is accomplished through education and testing. It is based on the belief that given the right environment, the body has the power to heal itself. Dietary/ lifestyle advice, herbs, nutrition and flower remedies may be given. A typical appointment will involve a series of questions, Iridology, a prescription dietary and lifestyle advice. There are different levels of care- symptomatic care, corrective care and ultimate wellness. Each level of care involves different testing methods and subsequent explanations and programs. Hypnobirthing in Melbourne is a way of birthing that teaches the mother techniques that help her towards a relaxing and stress free birth. It can transform pain and fear, thereby enabling a beautiful calm experience for mother and her partner. The classes are usually five, two and a half hour classes once a week. Learn over eighty techniques to relieve head and shoulder tension, headaches, migraines, muscle strain and eyestrain with Indian head massage. Enhance hair growth and texture and enjoy a remarkable relaxing experience. It includes lymphatic drainage massage and working on chakras. The techniques remove stress from the whole body. In these courses you not only learn, you can enjoy the experience. It includes neck, shoulder/back, scalp and face massage. The sense of relaxation and well being it brings has to be experienced to be understood. This intensive course enables you to practice it immediately, anywhere, professionally or with family and friends. 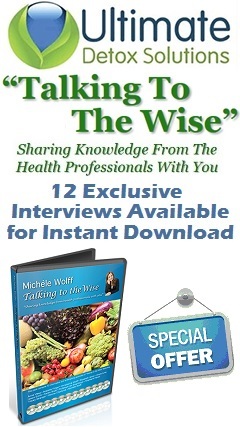 Michele Wolff is a Registered Nurse and Naturopath/ Herbalist/ Nutritionist. (B.HSc, R.N.) She trained in London and Australia. She has taught in London, Australia and New Zealand. Michele is the only trained teacher of this type of Indian Head Massage in Australia. (Accredited) She has been teaching for 18 years.